Greece, that country that is the soul of the Mediterranean, and the cradle of modern European culture! When we think of Greece, so many images come to mind. Of its great philosophers, of Homer who got right to the heart of what the Mediterranean really means. Of a culture and language that have given the world such vital ideas as democracy, of wonderful temples and statues. Of its heavenly sun-baked islands set in a turquoise sea. Greece is all this, and yet so much more. If you know people here, and the Greeks are justly famous for the friendship, you’ll want to celebrate those special days right alongside them. Here at FloraQueen we make that simplicity itself. A whole world of ideas for the next time you want to send gifts to Greece, from gift baskets to fine bouquets of fresh flowers. For all your gifts to Greece, FloraQueen’s the place to be! Almost since the dawn of modern time Greece has played a central role in the development of what we now call Europe and a European idea of life. It gave the world the idea of democracy as well as some of its greatest philosophers. Modern Greece has been hit hard by the economic crisis, it’s true. Yet there is still so much to see in this Mediterranean country. From the Parthenon and Acropolis to small temples hidden away in the arid landscape to its wonderful islands lying in transparent waters, there are endless reasons to visit. 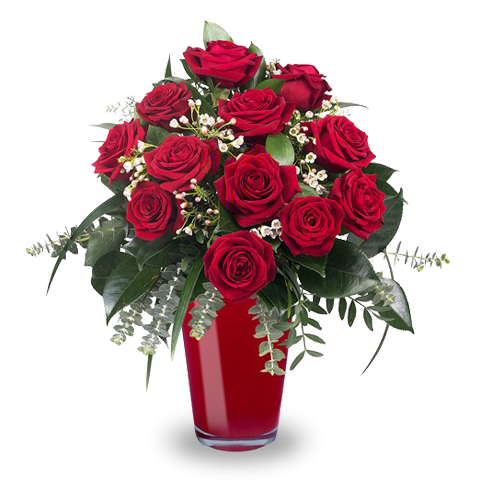 At FloraQueen we know just how important keeping in touch is. And we make it simplicity itself. What better way to celebrate a special occasion than to send gift baskets to Greece? We also know how important Christmas is for many people, that’s why we have a whole range of great ideas for when you want to send holiday gifts to Greece.